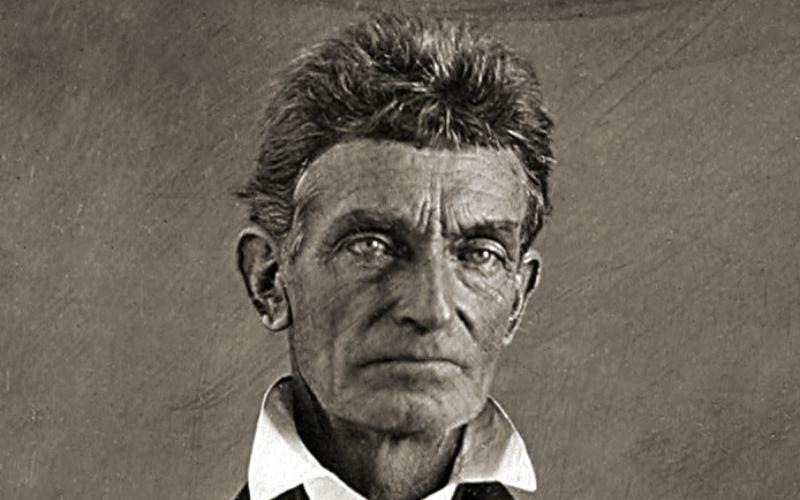 In 1859, radical abolitionist John Brown led 19 fully armed men — 14 whites and five blacks — in an assault on a U.S. armory at Harper’s Ferry, Virginia. Descending upon the town in the early hours of October 17th, Brown and his men captured prominent citizens and seized the federal armory and arsenal. Brown had hoped that the local slave population would join the raid, and through the raid’s success, weapons would be supplied to freedom fighters throughout the country; but this was not to be. Held down by heavy fire from the local militia, Brown took refuge in the arsenal’s engine house. However, this sanctuary from the counter attack did not last long — in the late afternoon US Marines under Colonel Robert E. Lee arrived and stormed the engine house, killing many of the raiders and capturing Brown. Brown was quickly placed on trial and charged with treason against the state of Virginia, murder, and slave insurrection. Brown was sentenced to death for his crimes and hanged on December 2, 1859. This entry was posted on April 24, 2016 by Vox Populi in Music, Opinion Leaders, Social Justice, War and Peace and tagged John Brown's Body, John Brown's Raid on Harper's Ferry.